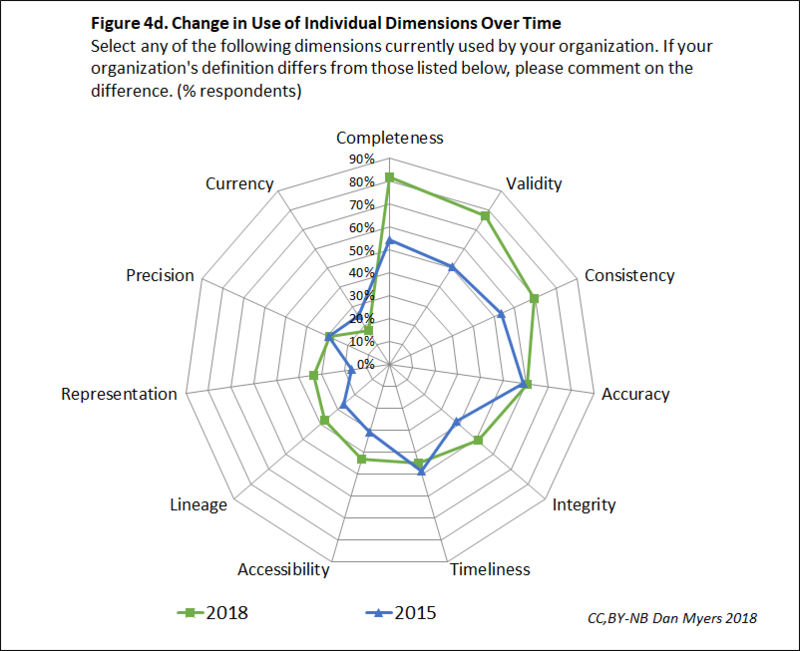 In order to measure the usage of the dimensions of data quality by organizations and related data quality topics, we began the Annual Dimensions of Data Quality Survey in the spring of 2015. For the last four years, it has been conducted every March-April timeframe and the associated report is typically released in the late summer. The survey is a web-based assessment distributed via LinkedIn, Twitter, Email, etc. The 2019 survey is now LIVE! Please click on the blue button below to take the survey between March 18th and April 17th. The 2018 survey had 104 valid respondents from various industries including (Finance, Consulting, Healthcare, Software, Chemicals/Mining/Petroleum/Textites, Telecom and more). In 2018, we found that over 70% of the Dimensions of DQ are used more than in 2015. 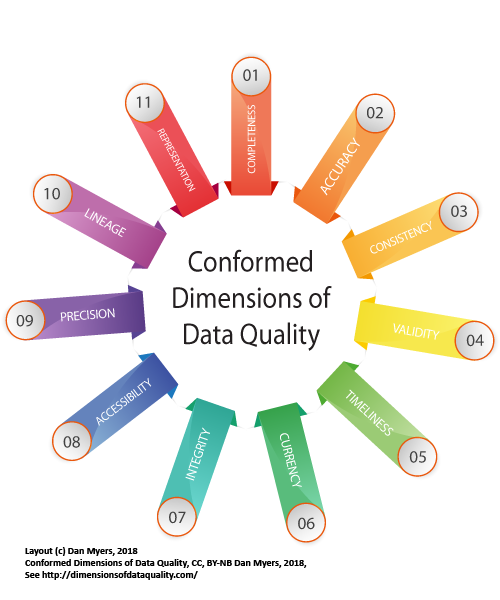 As industry maturity continues, organizations are using a larger variety of the dimensions of data quality (below). 100% of organizations reporting excellent data quality use the dimensions of data quality. Most of these have an enterprise-wide definition of each dimension in place. 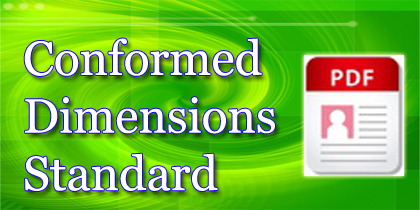 37.8% of organizations taking the survey use the Conformed Dimensions in some form. 35% of organizations report that industry regulators require specific DQ metrics and another 33% require self-selected measures of DQ to measure submissions (appendix 5).